Reinvigorate the way you do business...comfortably. Allow your clients to feel at ease with modern conveniences in understated environments. Whether it's classic touches you crave or contemporary luxury...Laurel + her team can adapt to any design aesthetic at a moment's notice. In fact, we crave the challenge. Allow us to re-imagine the elements that could transform your spatial design. And if you want drama, we have that, too! 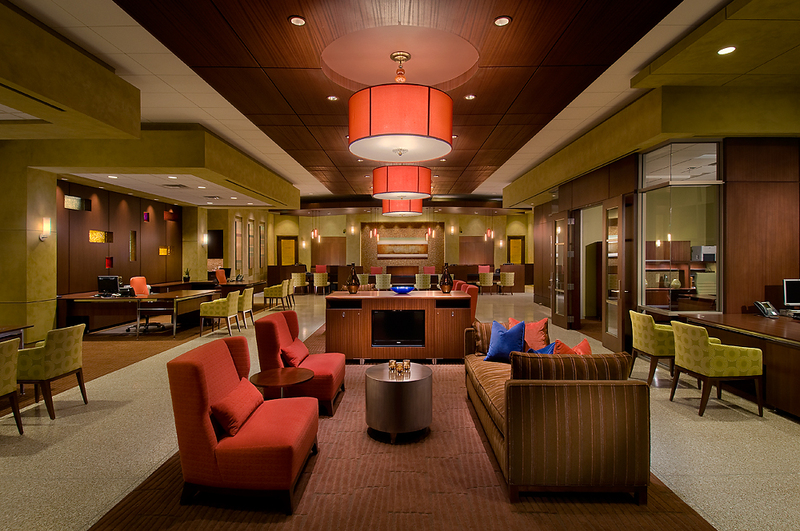 Johnson Bank | Gainey Ranch, Scottsdale; ASID Award Commercial Project under 10,000 s.f. National Bank of Arizona | 3 branches; ranging from 5-10,000 s.f. ; ASID Award Commercial Project over 10,000 s.f. AZ Lottery HQ | 100,000 s.f.